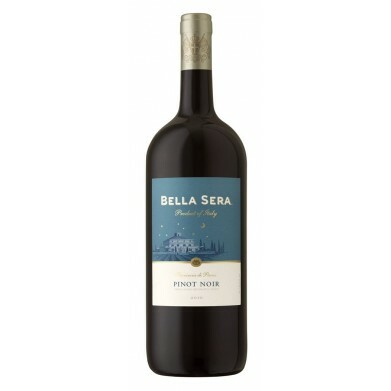 BELLA SERA PINOT NOIR for only $11.99 in online liquor store. Our Pinot Noir appreciates moments like these. It hails from Provincia di Pavia, a town just south of Milan on the lower Ticino River. Exuding dark plum and cherry flavors, it boasts a nice balance of acidity and sweetness. You'll find it perfectly relaxed with fresh vegetables, pasta and fish.